Here We Have Idaho is the state song. The song was written by McKinley Helm, Albert J. Tompkins and Sallie Hume-Douglas. The song was originally titled Garden of Paradise. Garden of Paradise was copyrighted on November 4, 1915. Two years later, McKinley Helm was a student at the University of Idaho. He wrote the verse which became the chorus of this song. Alice Bessee set the words to Douglas music, which was popular at the time. The song won the annual university prize for that year, and eventually became the university’s alma mater. Albert J. Tompkins, Director of Music in the Boise Public Schools, wrote a set of verses for the song. 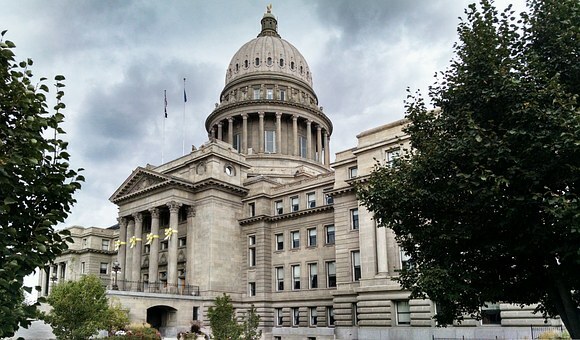 In 1931, the Idaho Legislature designated “Here We Have Idaho,” previously known at the University of Idaho as “Our Idaho,” as the Idaho state song.